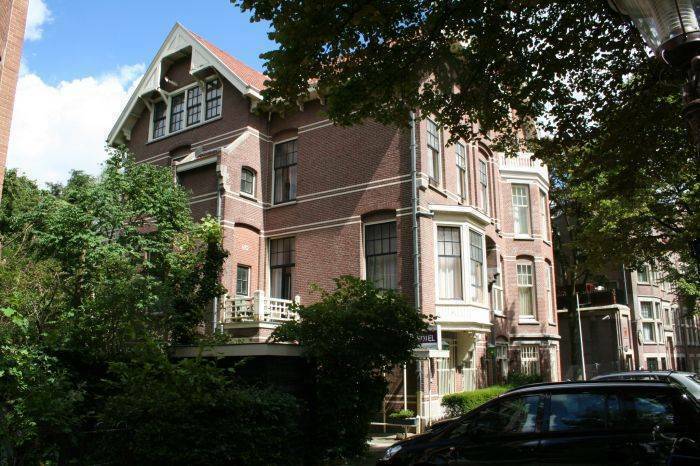 The Borgmann Villa Hotel is peacefully located at the 'Vondelpark' in Amsterdam. Tourists as well as business travellers will feel at home here. The green surroundings are perfect for a stroll towards the centre, the 'Leidseplein' or the 'Museumplein'. The WTC and the RAI Exhibition and Convention Centre can be reached easily by public transport. 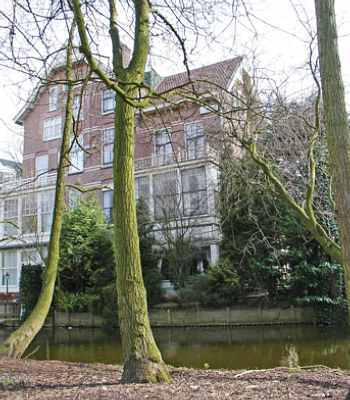 In a quiet residential area at the 'Vondelpark' lies the Borgmann Villa Hotel Amsterdam. This historic villa is characterized by large windows and a tasteful interior with light colours. 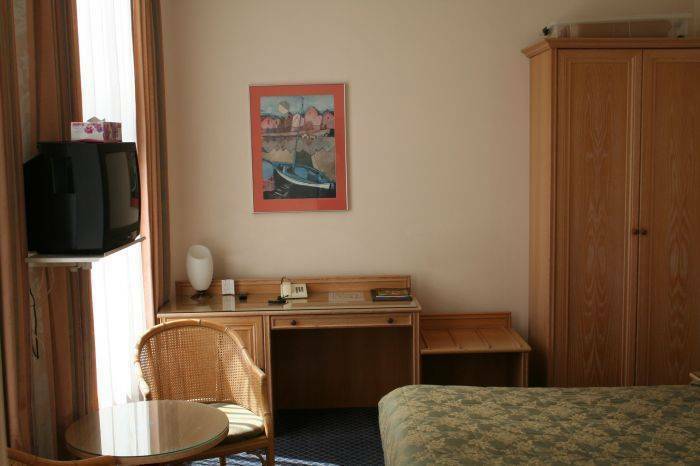 In this intimate 3-star hotel there are 15 comfortable rooms, that are equipped with a private bathroom with a shower and/or a bath and toilet, a hair dryer, central heating, a television and a radio, a phone and a safe. 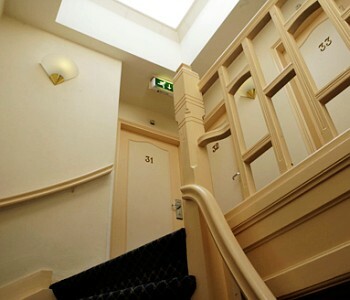 Some of the rooms offer a view of the 'Vondelpark' and some have their own balcony. There is an elevator in the hotel as well. 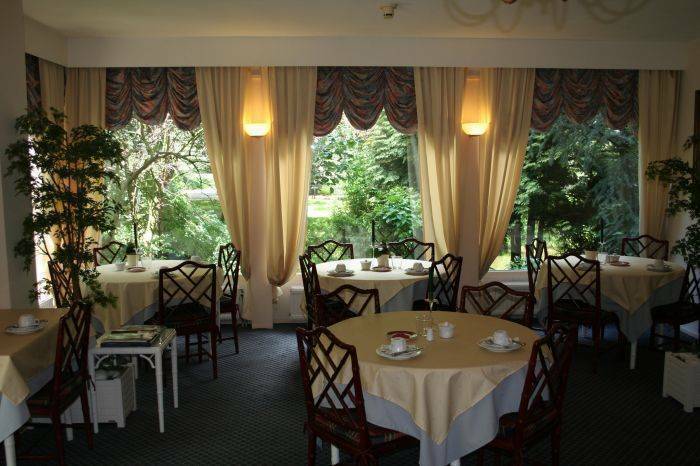 The breakfast room overlooks the green 'Vondelpark' and a small canal. There is a small outside terrace in the garden at the rear of the hotel. The friendly staff will give you a warm welcome. - You can check-in until 22:00 h., a later check-in time is possible on request. Luggage can be stored at the hotel. 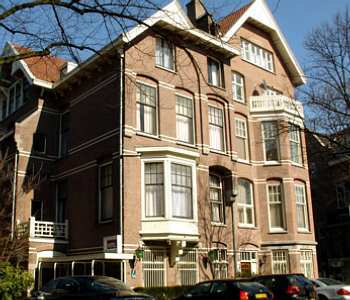 The hotel is positioned at the south/west corner of the city center of Amsterdam, located near all major attractions. Rijksmuseum, Van Gogh Museum, Stedelijk Museum (Museum of Modern Art) and Concertgebouw (Concerthall) are located at the Museumsquare, the Vondelpark , Filmmuseum, the exclusive shopping street P. C. Hooftstraat and Casino. The famous Leidsesquare with various cafes, restaurants and nightclubs. Payment takes place at the hotel on arrival. From Central Station Tram 2, tram stop Valeriusplein. There are public parking spaces in front of the hotel. Places are always available. From Monday to Saturday the costs for parking are €4 per hour and €28. 80 per day, between 09:00 and 21:00 h. On Sunday's parking is free . There is P+R Olympisch Stadion parking nearby, for €8 per 24 hours.